See How We're Growing in Downtown! Harold’s Square is a mixed use development along Ithaca Commons in Ithaca, NY It will include the redevelopment of the historic William Henry Miller Building located at 137-39 The Commons, along with new construction extending west to include the parcels at 135, 133 and 123-27 The Commons. Totaling approximately 151,500 square feet the project will include ground floor retail space ,three floors of professional office space , and 48 apartments in a six-story tow- er. 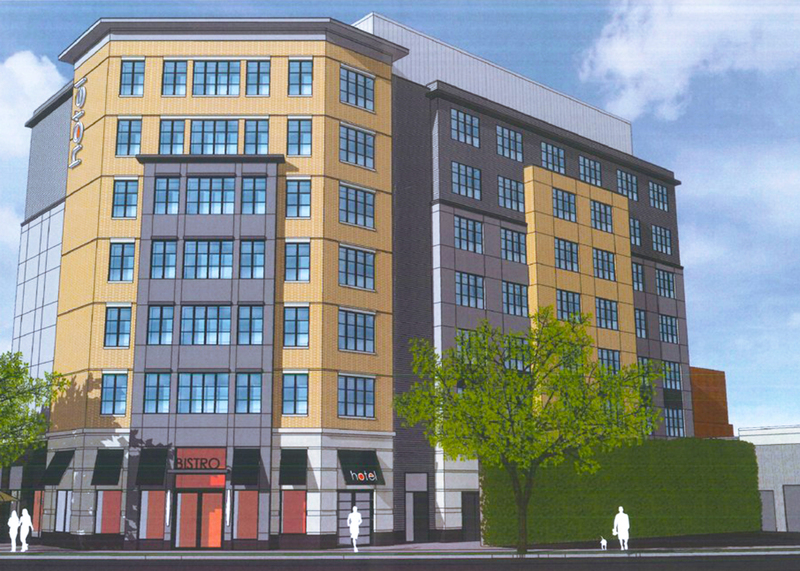 The tower will be set back approximately 65 feet from the project’s four-story Commons facade. The intent is to develop the project in accordance with the U.S. Green Building Council’s LEED guidelines. The project’s Commons facade is designed to emulate the historic structures located along the Commons. Its presence on Green Street is more modern in keeping with the other buildings that front on that street. The building has two main “front” entries, one on the Commons and one on Green Street with an atrium linking the two streets. 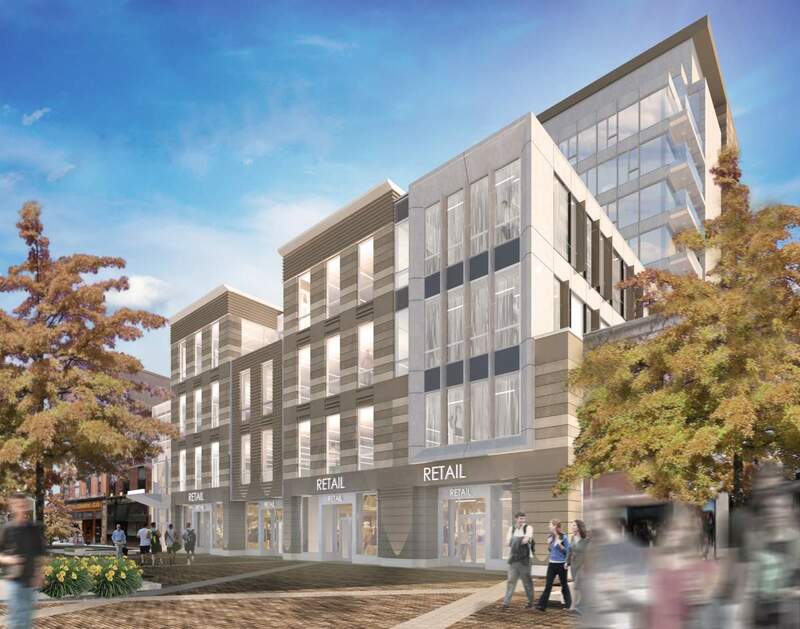 Centre City is a $40 million proposed landmark project to be located in the entire block immediately east of the Commons pedestrian mall. Southern Tier developer Newman Development has purchased the entire city block bounded by Green, East State, and Aurora Streets. 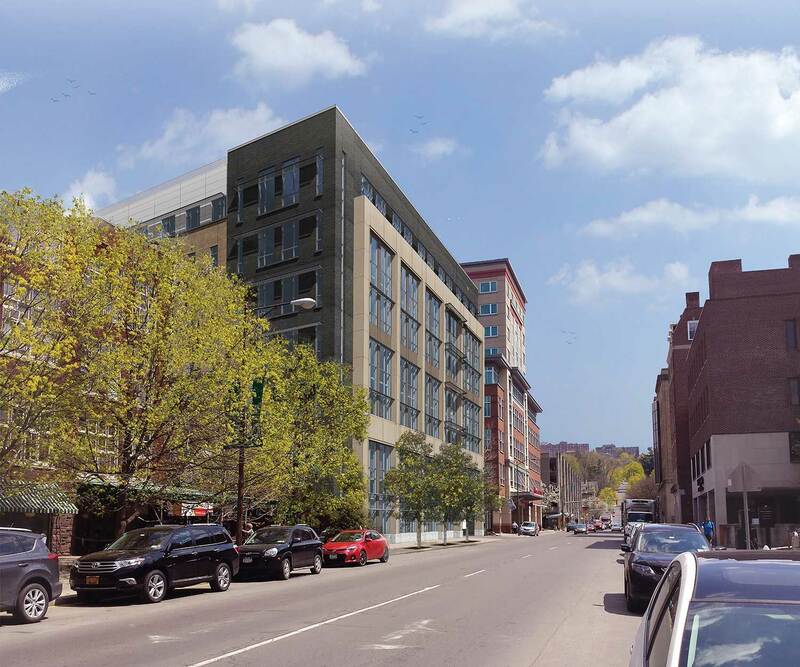 City Centre is a 150,000 SF, eight story mixed-use building containing 192 units of market rate housing and approximately 12,000 SF of ground floor retail. 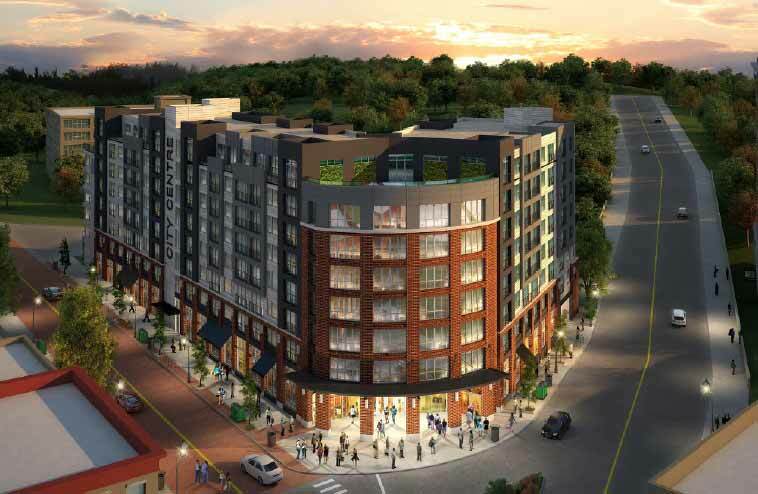 The project will feature 70 underground parking spaces, a rooftop patio for tenants, and a fitness center for tenants, as well as an internal courtyard for servicing and tenants. The exterior of the building is designed to look and feel like multiple facades, with extensive articulation. There are wide sidewalks for use by business tenants and a major entrance to the ground floor directly across from the Commons. 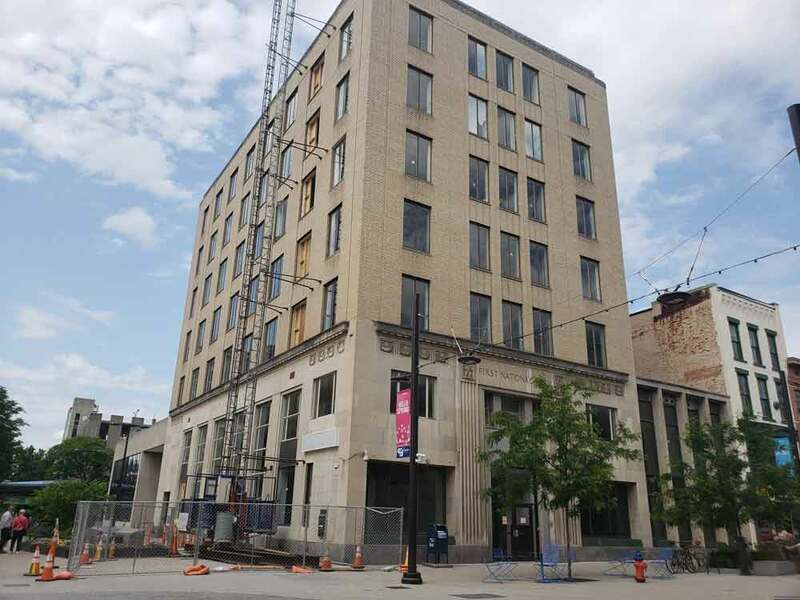 Located at the hub of Downtown, the 202 East State Street building is being renovated as a historic preservation project. Floors one and two are leased to CFCU Community Credit Union, who will be relocating their headquarters operation to downtown late this year. Floors 3-7 are being rebuilt and marketed as high-end office space, complete with shared conferencing facilities. 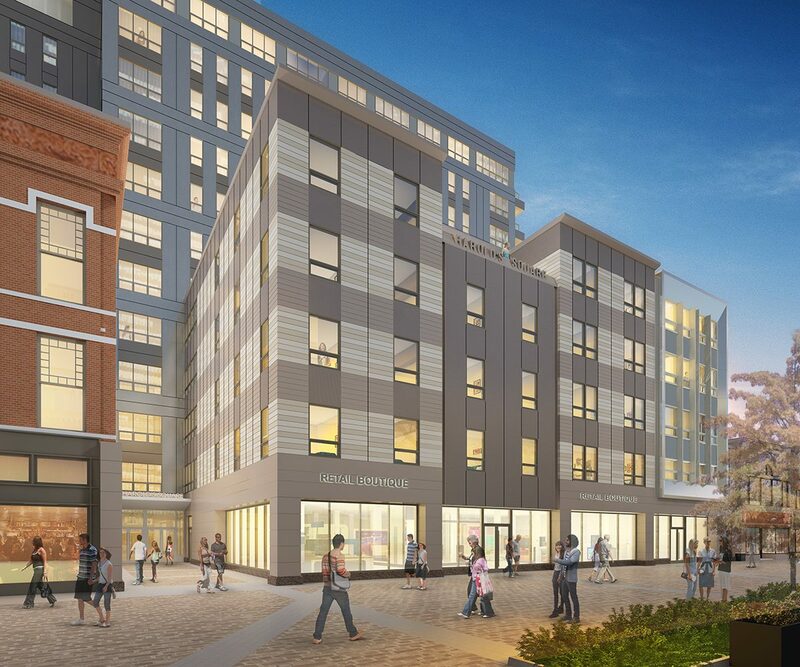 Canopy by Hilton is a 7 story 123 room upscale boutique hotel to be located in the heart of Downtown Ithaca. The construction site consists of surface parking lots created by urban renewal after the razing of the Strand Theater. The site combines two vacant parcels- one a city owned lot. The project will front onto both Seneca Way and East State/MLK Street. The project is being developed by Ithaca hotelier Lighthouse Hotels. Canopy is a new upscale boutique line being rolled out by Hilton. This is one of 11 such projects worldwide, with all the others in major markets. The line promotes its use of local character throughout the public and private spaces. The hotel will include a restaurant/patio lounge. It will have pedestrian connections with Aurora Street’s Restaurant Row and the Commons via East State Street. Just a few weeks ago, the Tompkins Financial building project was completed. The seven-story building includes both consumer retail space, operations and senior leadership teams from Tompkins Financial Corporation, Tompkins Trust Company, Tompkins Insurance Agency, and Tompkins Financial Advisors.